Red clover supplements marketed as a way to relieve menopausal symptoms work no better than dummy pills at easing hot flashes, a study found - disappointing news for women seeking alternatives to hormone treatment. In the past year, studies have linked prescription hormone pills, the longtime mainstay treatment for hot flashes and other symptoms of menopause, to breast cancer, heart problems, even senility. In the red clover study, 252 women ages 45 to 60 took either dummy pills, Promensil pills or Rimostil pills for 12 weeks. Promensil and Rimostil are dietary supplements made from red clover, which contains estrogen-like compounds called isoflavones. Promensil is marketed for hot flashes, while Rimostil is marketed for postmenopausal heart and bone health. They each cost about $15 to $25 for a month's supply. Women in all three groups reported a modest reduction in hot flashes, from about eight a day to five. There were no significant side effects from the red clover pills. "It's disappointing," said lead researcher Dr. Jeffrey Tice of the University of California at San Francisco. 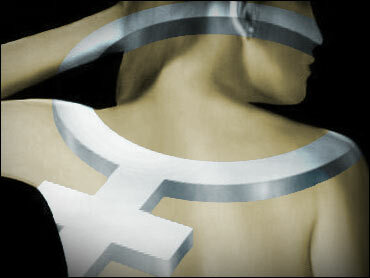 "Doctors and particularly women are looking for alternatives to hormone therapy." Hormones can reduce hot flashes by up to 90 percent, compared with about 40 percent in the red clover-placebo study, Tice said. Mark Waring, director of clinical and technical affairs for Novogen Inc., which makes the two products and funded the study, said "it's undeniable" that women were getting relief from the products. Dr. Adriane Fugh-Berman of Georgetown University said the red clover results might be partly explained by the "placebo effect" - the way some people feel better simply because they believe they have been treated. Tice said the findings might also reflect the way hot flashes tend to wane naturally over time. Some doctors say hormones remain the most effective treatment for hot flashes, night sweats and other temporary symptoms of menopause when taken in the lowest possible dose for the shortest possible time. Estrogen is believed to help the body's heat regulation, though exactly how it works for hot flashes is poorly understood.